A beautiful lawn complements the rest of the garden and makes the whole garden look fantastic. A spring lawn care routine is the best way to spend a little time and effort getting your lawn into shape – mowing the grass, feeding with a lawn fertiliser and dealing with bare patches, ugly weeds and moss. 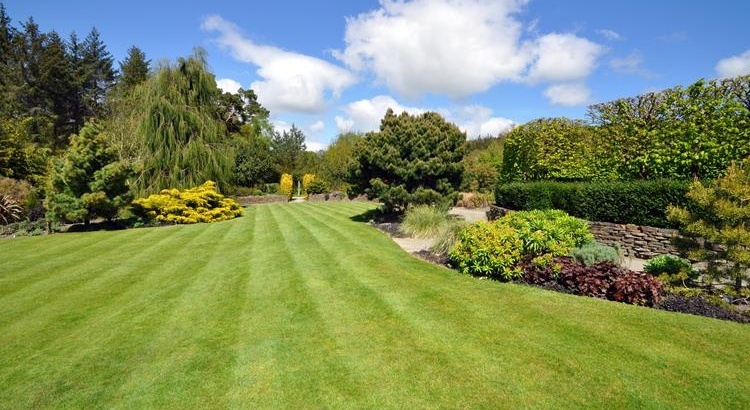 A simple spring lawn care programme will give you a lawn to be proud of, keep it in perfect condition and make friends and neighbours green with envy. 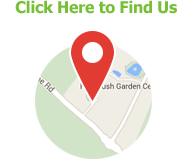 The most important lawn care job for a fantastic lawn is correct and regular mowing. 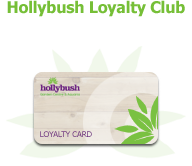 You need to cut the grass whenever it is growing – which is likely to be weekly or even more frequently as the weather warms up in spring. Next on the priority list is feeding the grass, and feeding the right lawn food at the right time will produce a lawn to boast about. 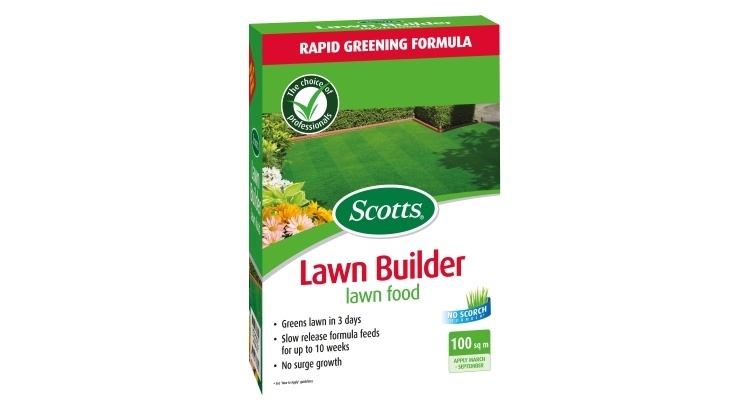 To feed, control weeds and moss in the lawn during spring, use a lawn feed product with clear claims on the pack that they will do the task you require. 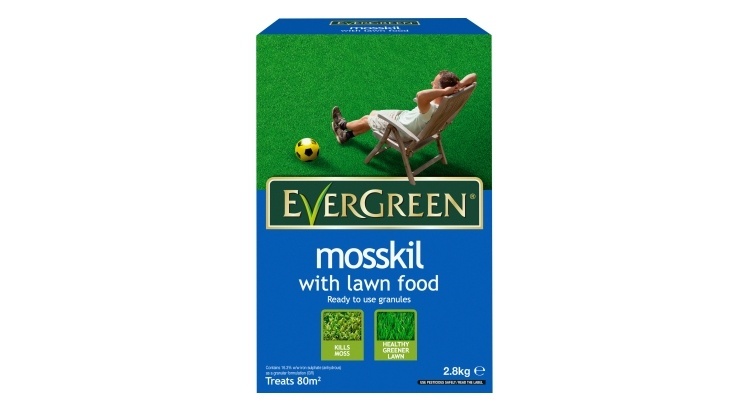 On weed and moss free lawns or to give a quick ‘fix’ and green up, use just a straight lawn food product, these won’t make any mention of weed or moss control. When using a granular lawn feed it is important to apply it evenly over the whole lawn at the recommended rate. 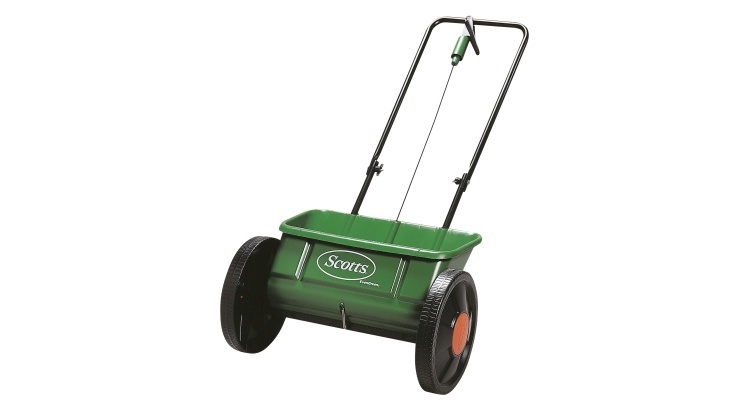 The easy way to do this is to use a lawn spreader, such as the built-in spreader in the smaller sizes or use a wheeled spreader on larger lawns. If you feed the lawn again in 6 week’s time it will remain strong and healthy all summer. Lawn weeds are a major headache that can stop you fully enjoying your lawn. A strong, healthy and well-fed lawn will be able to deal with weeds and moss far better than one that isn’t fed and looked after properly. But where weeds and moss are a problem you need to deal with them quickly. If you just have weeds but no moss, then you can quickly treat your lawn with a liquid lawn weedkiller. 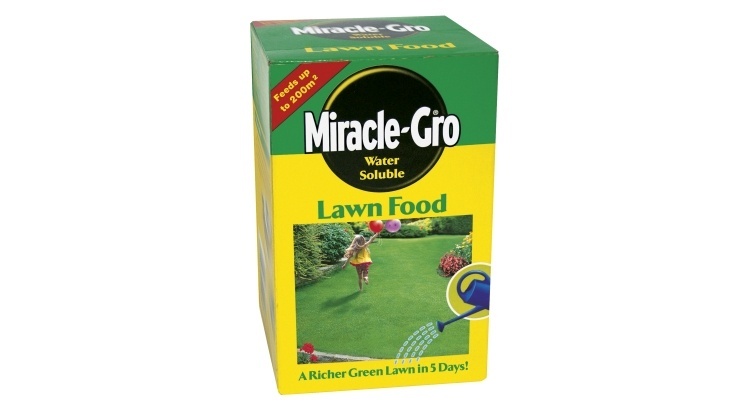 These products contain special ingredients that, when appied in accordance with the instructions, won’t cause any damage to your lawn grasses but will control most broad-leaved weeds. If you only have moss but no weeds then there are lawn moss killers available, most will also contain a feed so it will green up your lawn as it kills the moss – bear in mind the moss will turn black as it dies so you may not want to do this just before a party! 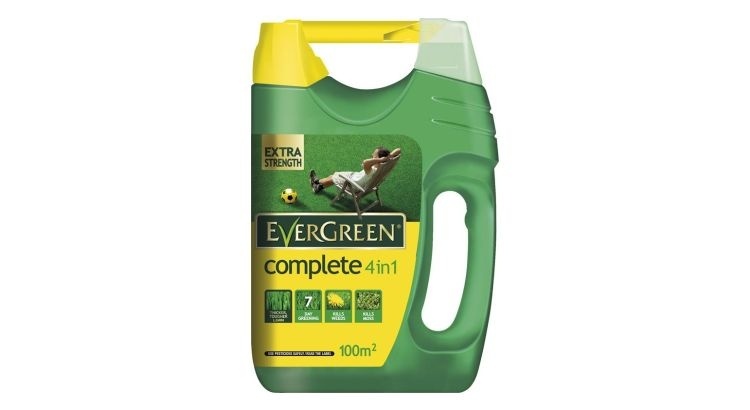 For lawns with weeds and moss problems then the solution is also simple, use a granular lawn product containing feeding, weed control and moss control ingredients, they are easily spotted in the lawn care section of all good garden retailers. Or, where dogs have caused the bare areas, repair the damage with a special blend of salt tolerant grass seeds and a neutraliser to make the ground suitable for grass to grow in again. 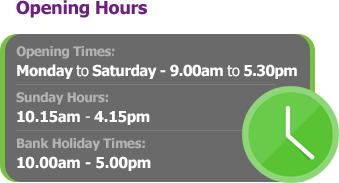 There are products on the market clearly advertising these properties and marketed as dog spot repairers. Every year up to a quarter of the grass in the lawn can die, more after a cold, wet winter. 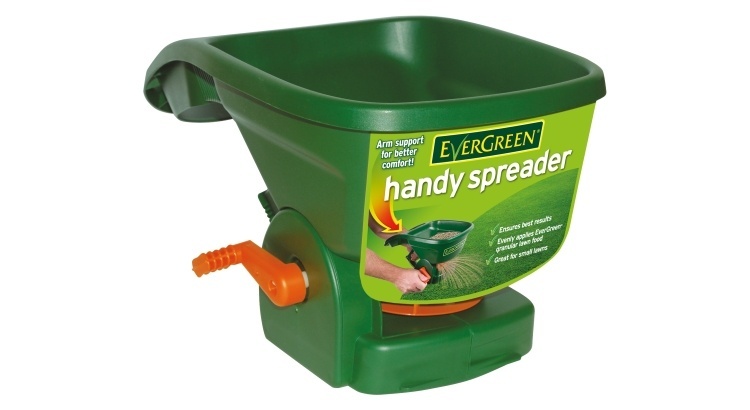 Overseeding – sowing new grass seed into the existing lawn – can rejuvenate the lawn and bring it back to life. Overseeding improves the lawn’s appearance and by increasing the density of the grass you will also reduce weed and moss invasion. Article reposted with permission from LoveTheGarden.